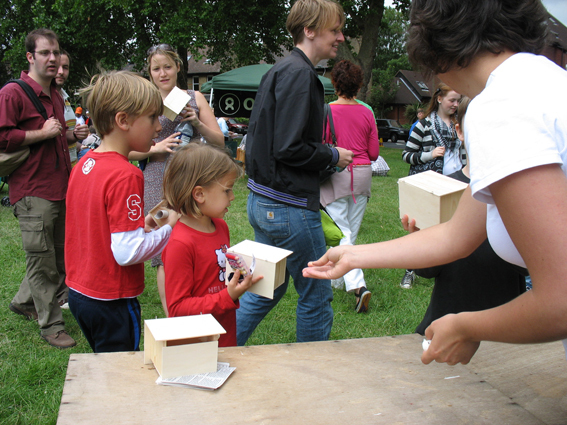 80 birdhouses made from kits by me, were given away for free at the Brockley summer fair in June 2007. 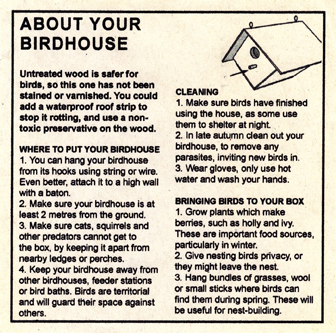 Anyone who took a birdhouse was also given a leaflet in which I explained where best to site their birdbox and how to look after it. 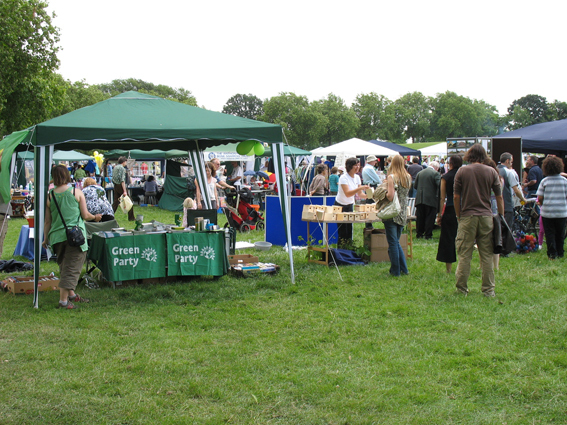 When we arrived, we were instructed to pitch up our folding stall next to the Green Party and opposite Oxfam. 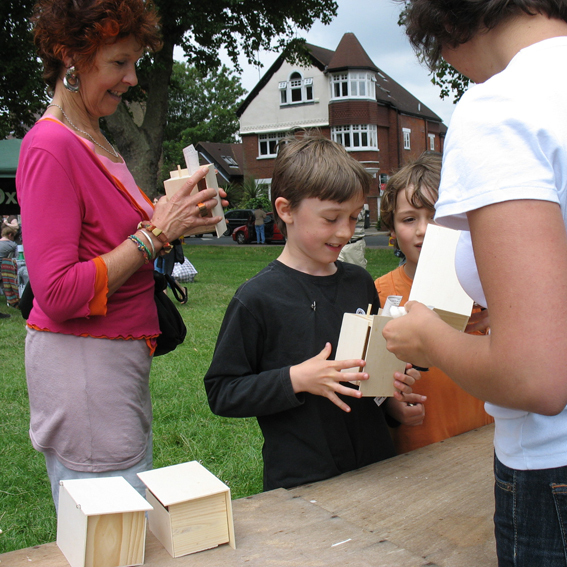 I developed my banter as the afternoon progressed, overcoming visitors’ shyness and suspicion with advice about how to use the birdhouses. 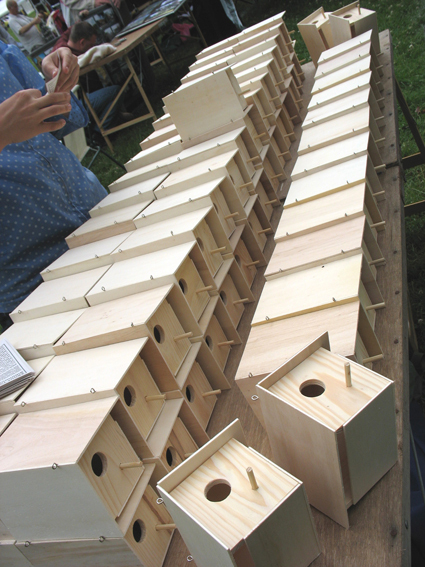 This moved into conversations about the birds they had seen around their homes; including details of their gardens, yards or balconies. 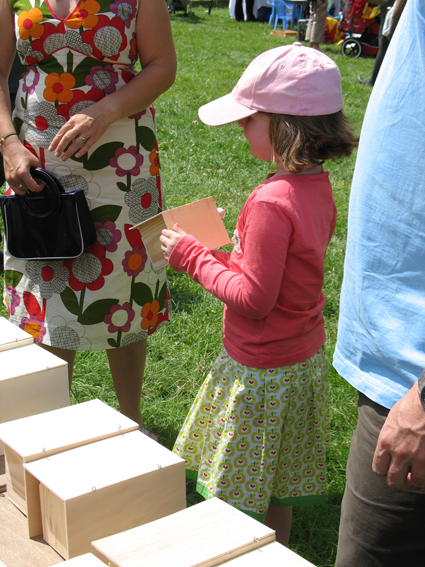 All of the birdhouses were given out within two hours, with families crowding around and taking several at once. 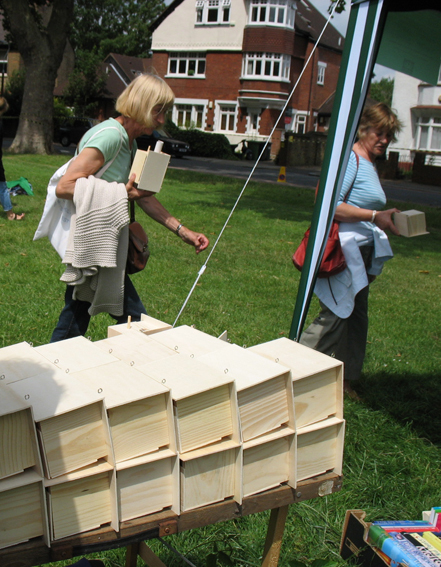 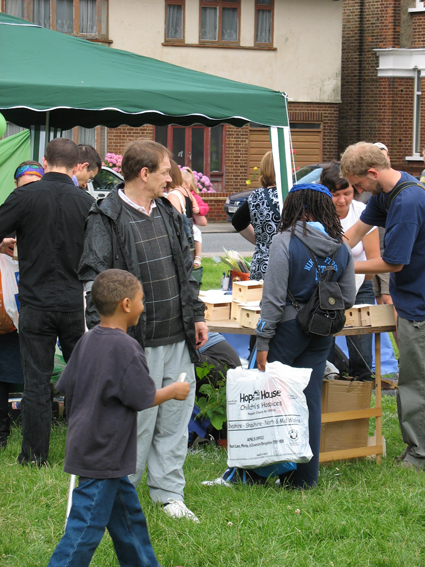 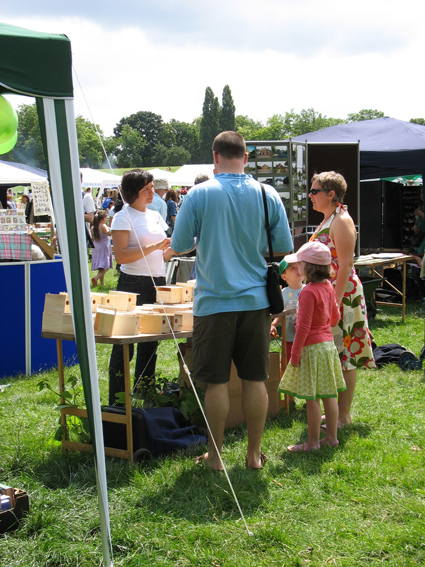 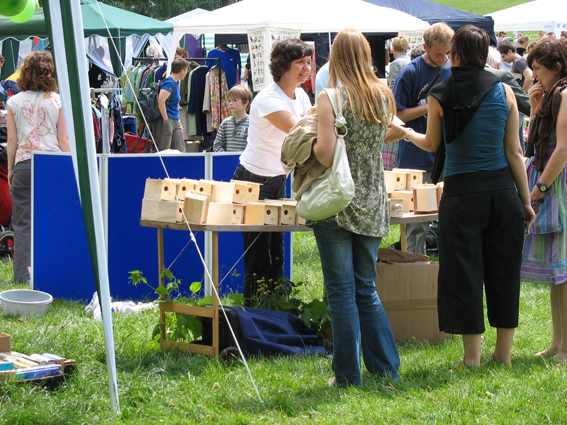 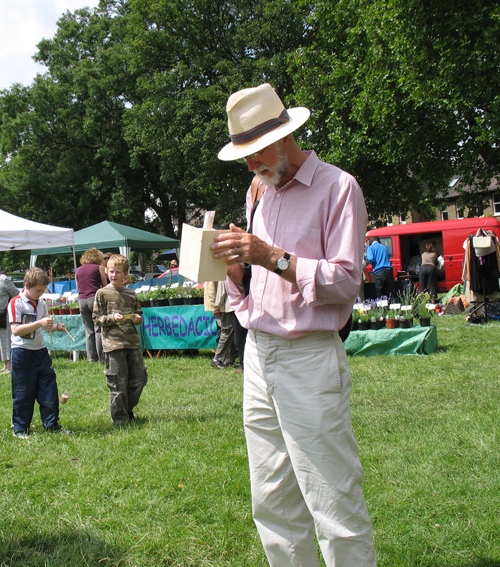 The event organisers assumed the Green Party owned the stall and announced by tannoy that birdboxes were being given away. 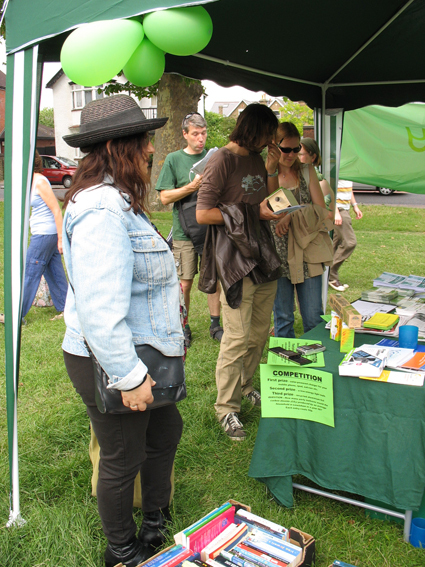 An employee from the RSPB gave me hints on improving the boxes, whilst Green Party representatives discussed their local policies. 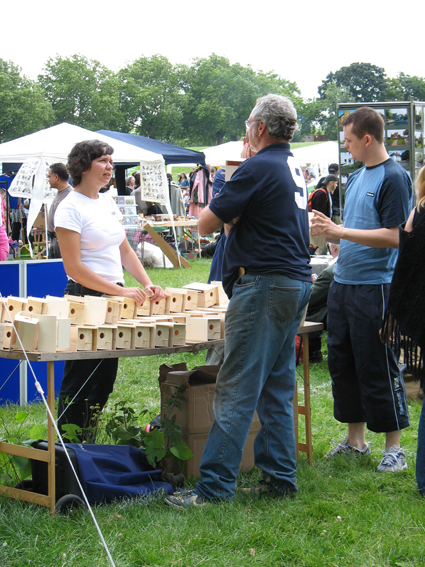 The fair was held in an area where I could not afford to live. 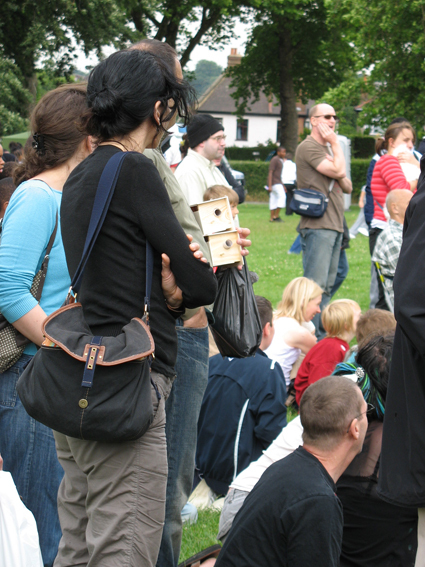 The numbers of small birds in London have declined by up to 90%.